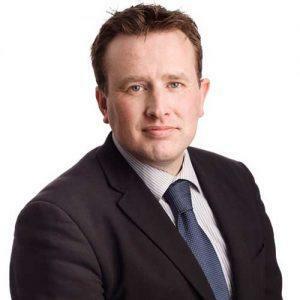 The growth of certification standards: creating confusion or options? There are in excess of 800 million consumers between America, the EU and China (based on number of households). Manufacturing and selling products to consumers globally is therefore a massive industry, split broadly into goods and services. Fast moving consumer goods are one of the largest consumer goods groups and contains sectors such as food and drink, electronic items, cosmetics, cleaning products, clothing and toys. In order to communicate specific advantages and aspects of their products, companies will often opt for, or may be required to comply with, certification of their products. Compulsory safety testing is required of all consumer products, in order to ensure that they are safe for use by the consumer. In the EU, each product should carry a CE mark to demonstrate that their product has passed this mandatory safety testing. In USA, similar certification is required, but is administered in a more sector specific way, all under the aegis of the Consumer Product Safety Act; Electronic devices are required to comply with the FCC Declaration of Conformity, toys are required to comply with ASTM F963-16, cosmetics are required to comply with the Food, drug and cosmetic act, and so on. In order to determine whether products comply with these requirements, specific and transparent testing methods, together with acceptable limit levels are developed, and these constitute the certification testing standards. The limit levels set, that a product must be measured against, are normally based on established and proven medical information, for example chemical exposure limits. The importance of this is that consumers can be confident that products that carry the CE mark, for example, have been tested to ensure that they are safe to use. Many certifications that products carry are voluntary, in that they are not legally required to carry the certification, but do so in order to communicate certain attributes of their product. These can include such claims as organic, vegan, allergy tested, cruelty free, green and so on. The veracity of these claims or certifications can sometimes be questionable due to the voluntary nature of the certification, and limit levels that are used (if any) that a product is measured against. In addition, due to the perceived market opportunity for ‘green’ products over the past decade, the number of certifications related to this have increased significantly, with varying consumer impacts. This has led to the practice of ‘green-washing’ – using spin to make green credential claims where perhaps none actually exist, or do to a significantly lesser extent – this is where the importance of strong certification lies. The phrase ‘hypoallergenic’ has been used for decades to imply ‘less allergenic’, but where does this level of less allergenic lie, and do all manufacturers interpret this same level of ‘less allergenic’ and how is it measured? The answer is of course that there is no specific level and all manufacturers will have a different interpretation of this. This can happen because there is no certification or standard to measure ‘hypoallergenic’ against. Indeed, companies do not actually need to carry out any testing at all to make the claim ‘hypoallergenic’ on their product. In a similar way, saying a product is 100% natural can also be mis-interpreted. In essence anything that is made on earth is natural, even if a chemical is synthesised. In addition, some of the most dangerous compounds on earth could be described as natural – snake venom, radioactive material, etc. And so the importance is in what may be included in the standard, and a commitment in the sector to all adopt the same standard, rather than having a number of different standards, all certifying a product as ‘natural’, with all different interpretations of this, leading ultimately to confusion with the consumer. Even where well accepted, widely adopted certifications are in place, sufficient oversight and testing must be part of the process, or negative impacts will occur. Energy Star is a globally accepted measure of the energy efficiency of a range of consumer electrical appliances. Consumers trust this logo as being representative of a product that has been tested to be energy efficient. In addition, due to government commitments to be more energy efficient, the public sector are often required to only purchase Energy Star rated products, there is therefore a financial incentive to be certified. In 2009 and 2010, the Government Accountability Office in the USA carried out an audit to determine how effective this certification standard was. They submitted 15 fake products to Energy Star to be reviewed for certification. Of the 15 fake products (with associated non-existent companies and fake websites), 10 were given Energy Star certifications, and 4 of these were qualified by Energy Star and listed on the website within 1 day! There was clearly a lack of oversight and testing and the EPA and DOE have committed to strengthening this program, however this is an excellent example of how strong oversight and actual physical testing of a product is required for voluntary certification programs, rather than ‘self-certification’ by an applicant company. The asthma & allergy friendly®®certification program, run by Allergy Standards, addresses some of these challenges by carrying out the physical testing themselves or in properly accredited laboratories, and partnering with non-governmental organisations in their country of operation in order to provide more objective oversight (for example, the Asthma and Allergy Foundation of America). Test standards are developed by experienced scientists and are reviewed by an external panel of scientific experts, assigned by the NGO, and not ASL. In this way, independent verification of the veracity and appropriateness of the testing standards, and specifically the limit levels associated with the testing, is carried out. This ensures that products, once they pass the standards, are indeed more suitable for those suffering from asthma and allergies. All testing is carried out in laboratories that are accredited by the International Standards Organisation (ISO) for testing to specific standards and so testing that is performed is done to the highest standards. So, the challenge to an extent is not in having too many certification marks, but in identifying which certification marks you should trust and why. If you are basing your purchase of products on specific claims or certifications that that product has, it is perhaps a good idea to dig a little deeper into how that product gets certified. Is there any actual testing performed on the product, and if so what is this testing? If it is important enough for you to purchase a product based on a particular certification mark, it should also be important enough for you to spend a little time determining just how good that certification standard is! 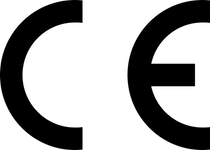 CE MARKING The letters ‘CE’ appear on many products traded on the extended Single Market in the European Economic Area (EEA), signifying the products have been assessed to meet certain requirements. 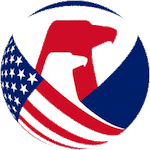 THE CONSUMER PRODUCT SAFETY IMPROVEMENT ACT (CPSIA) This landmark consumer product safety law amended CPSA in 2008 and provided CPSC with significant new regulatory and enforcement tools. THE CONSUMER PRODUCT SAFETY ACT View the Statute. By admin|2018-08-14T14:21:26+00:007 November 2017|Tags: certification, energy star, standards, testing|Comments Off on The growth of certification standards – creating confusion or options?